Is Kubo setting us up for the death of Ishida? Maybe, but probably not. In this chapter Ishida faces of against Haschwalth. 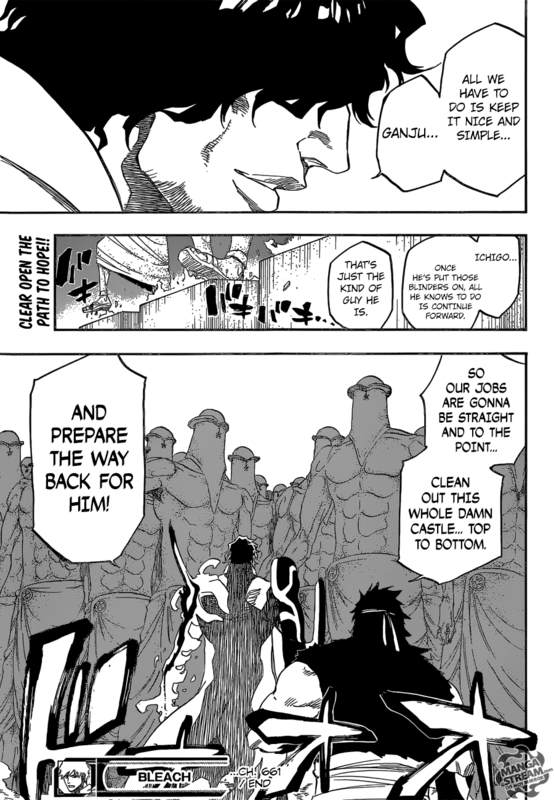 Ishida’s plan was a little anti-climatic after Haschwalth/Yhwach’s shared ability to see everything that happens in the future, reveals that he knew all. Haschwalth tells Ishida that the “sun gates,” have been destroyed. 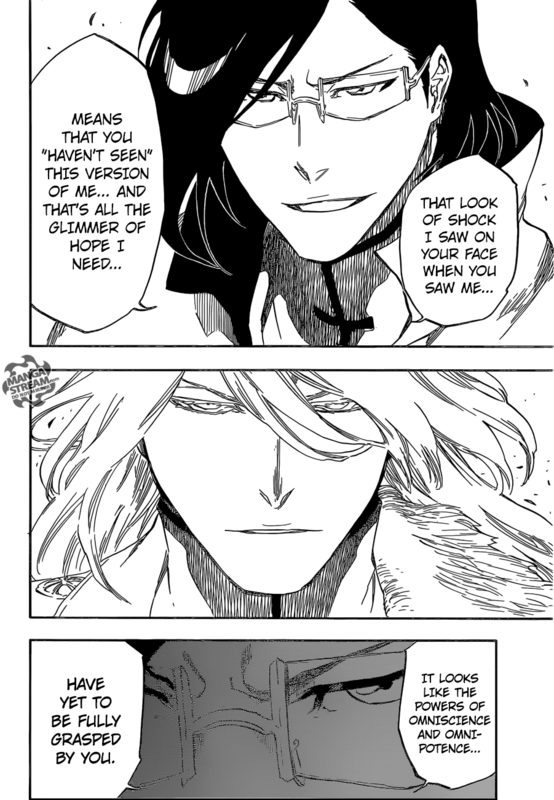 However, Ishida seems to figured something out regarding Haschwalth and Yhwach. He concludes that Yhwach must be without his powers since they switch with Haschwalth. However, Yhwach can wake up at any moment and his powers will return, so it seems pointless. Anyway, Ishida tell’s Ichigo where he can find Yhwach and he, Chad, and Orhime head that way. 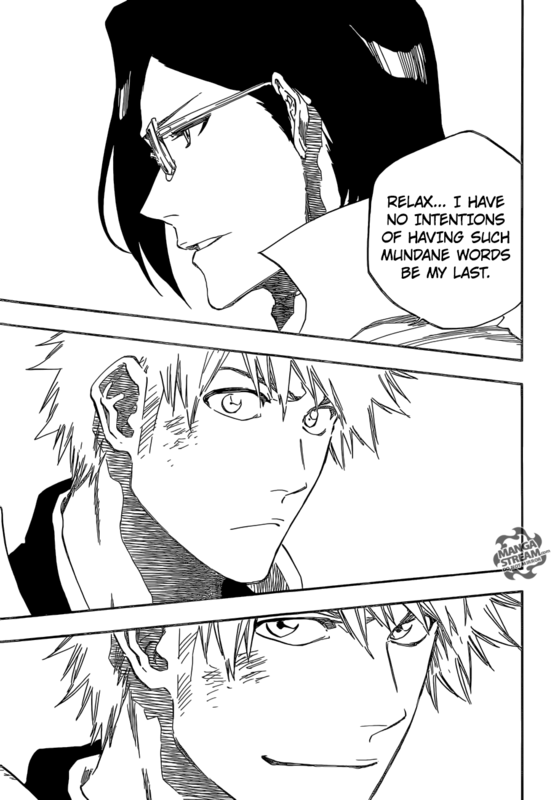 Ishida tells Ichigo not to worry about him, because he doesn’t plan on dying yet. Haschwalth is surprised at Ishida’s change in attitude. 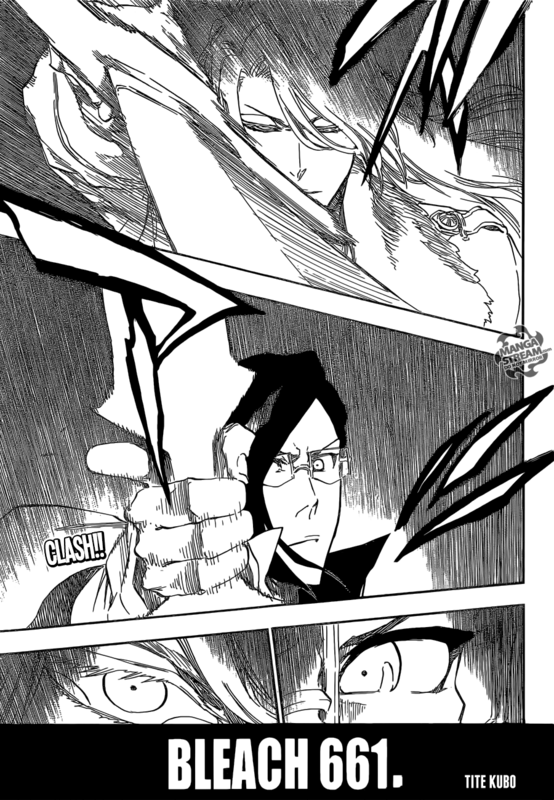 Ishida concludes that Haschwalth has failed to master Yhwach’s powers and couldn’t foresee his attitude change. As Ichigo and the other travel towards Yhwach, Orhime reveals that she is relieved that Ishida is on their side. They are then attacked by sand statues. Ganju and Chad face off against the statues, hoping to quickly defeat them. At this point Kubo has spread all the characters apart, facing off against various Sternritters. I’m assuming that the next chapters will set up Ichigo against Yhwach. Hopefully, we’ll get full battles and not have off screen battles. Overall, I’m glad Ishida is on Ichigo’s side (but it was obvious). Hopefully, he and Chad will show us new abilities. 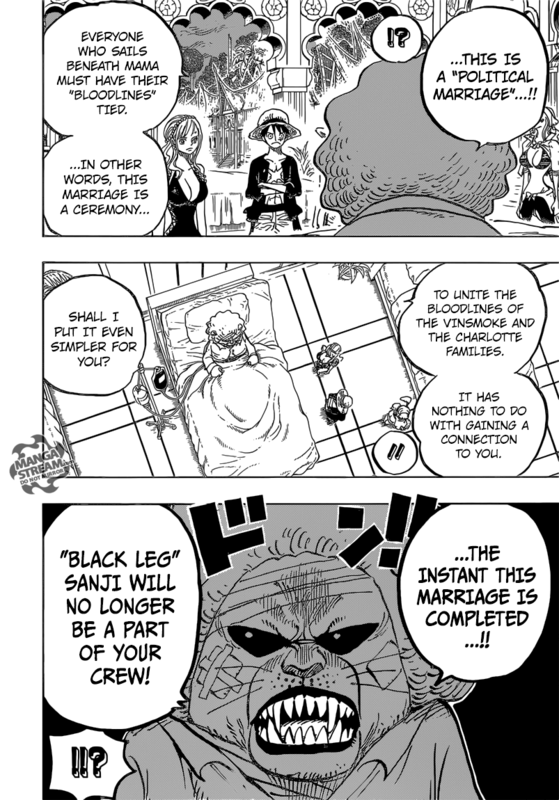 He says that “there is no way to refuse Big Mom’s invitations.” Luffy becomes angry, Pekoms tells him that “the Yonko hold so much power that anything they desired simply became fated to happen.” However, he tells Luffy that “the Straw Hats would not have to become Big Mom’s subordinates,” but Sanji “will no longer be a part of the crew.” Luffy asks Pekoms “what he is going to do, and he replies that he will go back once his injuries heal and finish business with Bege.” Luffy demands that Pekom take “him with them.“Brook, Usopp, Chopper, and Robin meet Luffy along with Nekomamushi. He hugs Luffy, causing him to start bleeding again. Law arrives, and introduces his 20 members crew. Law is shocked when finding out about Sanji. 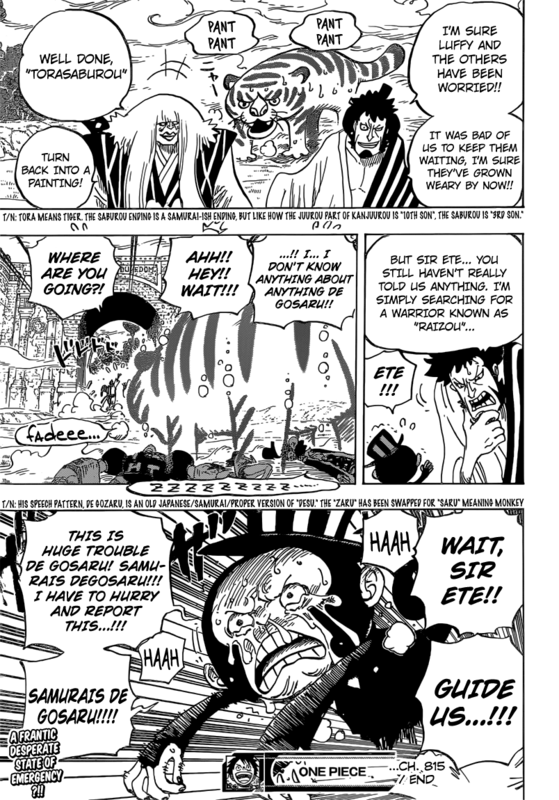 Luffy asks him “to stay and keep watch on the fight with Kaido, but Law reminds him that Kaido himself would likely find them soon, which would increase the damage on Zou.” The minks and Nekomamushi starts a party, Robin, Franky, and Brook keep watch for the samurai. 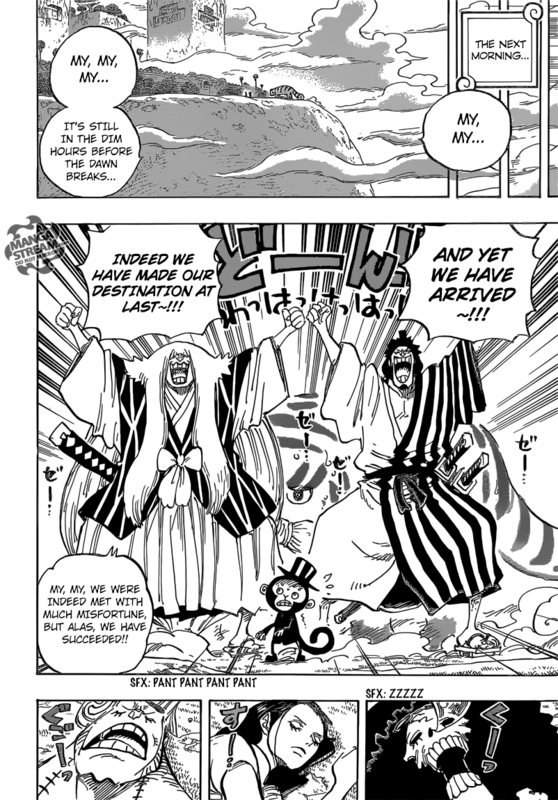 Franky says that the “minks would likely not be pleased if they discovered their alliance.” Kin’emon, Kanjuro, and the monkey mink arrive the next day, Robin, Brooke and Franky are all asleep. The samurai asks the monkey mink “what he knew about Raizo.” The mink begins to cry, as he rushes to warn the others that the samurai have arrived. A lot happened in this chapter. 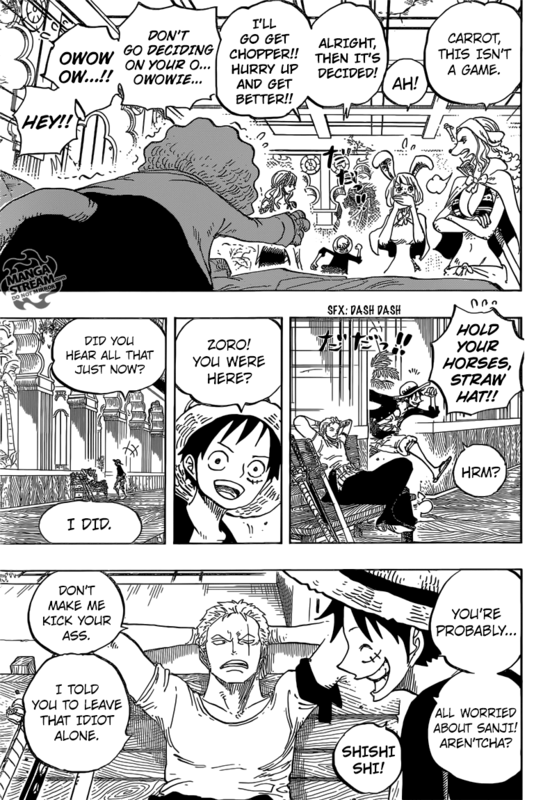 Luffy fearlessness regarding Big Mom’s power makes sense considering his personality. I think that Kaido and Big Mom’s crew could be tricked into fight one another. This chapter also reminded us that there are cruel elements within the One Piece universe. I think it way comical the way Brooke, Robin, and Franky fell asleep, despite making such a big deal of preventing the Samurai from entering Zou. I’m excited to see what happens after the samurai are revealed.